Barry Goldwater Jr. takes an opportunity to photograph close family friend, John F. Kennedy before a radio address. Washington's most exclusive clubs together. John Connally survived being shot during the John F. Kennedy Assassination. 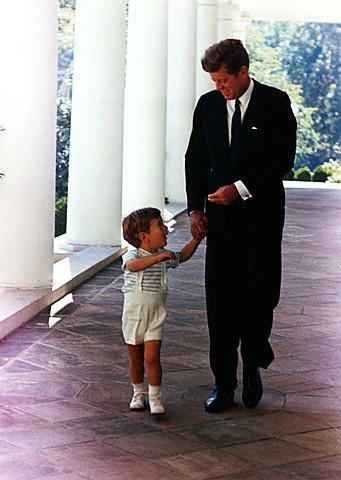 Above Left, President John F. Kennedy and John F. Kennedy, Jr. walk outside the Whitehouse oval office. After being elected, Kennedy stunned his party by appointing six Republicans to some of the highest offices in his administration.